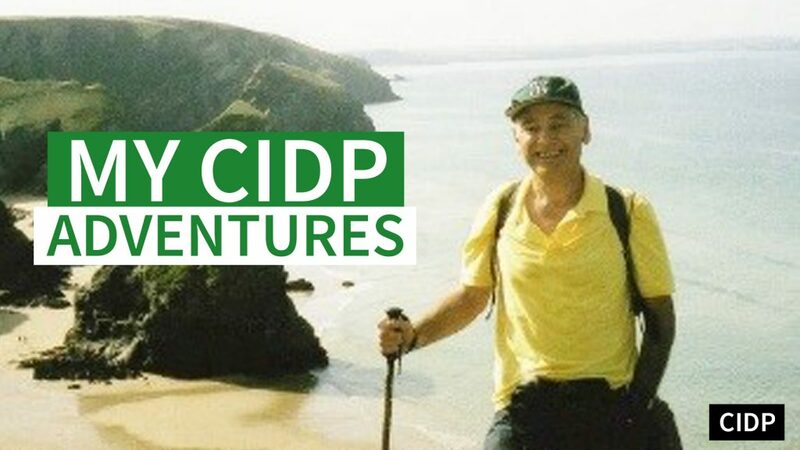 Malcolm Hanney faced some unexpected challenges when he made a new life for himself in Malaysia. Three years ago, while my son Steven and I were visiting Malaysia – he was doing a few weeks’ work experience with the YTL group in KL- we decided to take a weekend trip to Penang. On the way, we stopped off overnight in Batu Gajah, where before WWII his great grandfather had managed the Kinta Kellas tin mine. The tin mine, which had still been operating in 1981 when I made my first visit to Malaysia, is now the Clearwater Sanctuary Golf Resort. While Steven and I were in Penang, I began to think that maybe this was the place to spend my twilight years – plenty to do, warm weather, a beautiful island, friendly people, great food, low cost of living and low tax, and a good base for travel in Malaysia, Asia and beyond. I also wouldn’t have to change any of the plugs on the electrical appliances! A year later, I had decided to apply for an MM2H visa and started to plan my new life in Malaysia. In 1993, I had decided to retire early from my career in international finance. However, I had remained very busy and involved in a wide range of public and charitable activities in the UK. I knew that I wasn’t quite ready for a 24/7 retirement life – so what to do? It was then I had the crazy idea that as I was approaching 60 I needed a new challenge. After 38 gap years, would could be better than studying for a Masters degree in Southeast Asian Studies at the University of Malaya in KL? I thought that would work out really well while my apartment at the Batu Ferringhi was being completed. So it was that in early September 2012 I arrived with my satchel at the University of Malaya to meet my fellow students, all but one less than half my age. My fellow students, a mix of Asian nationalities and two young German women, were wonderful from that start, making me feel very welcome and a full member of their group. I was later to be taken to bars, comedy clubs and other places that I am sure that they would never take their parents. the first few weeks were pretty difficult. A course on research Methods from 9 am to 6 pm every day (plus homework) and then a three-hour compulsory Bahasa Malaysia class for international students to follow. I had to put together a Powerpoint Presentation for the Monday of the second week. This was another new challenge as previously I had always had somebody else prepare my presentations. It took me most of the weekend to master the programme but somehow I got the presentation together in time. When Steven would Skype during those first few weeks to tell me of his study problems at university – no doubt looking for a sympathetic fatherly ear – I would respond, “if you think you’ve got problems, just listen to mine.” For the Bahasa Malaysia examination, I crammed as never before. I even learnt 17 Bahasa Malaysia phrases and thought I don’t care what the essay question is – these phrases are going in somehow. I think the lecturer was shocked when I got 95% and the top mark, certainly no sign of that potential in any of the classes. Sadly, I only managed a B+ for the Research Methods class but I have earned better grades since. It was all going well until late December 2012. Then I got Guillain-Barre syndrome (AMAN variant), very rare and not good. The immune system goes haywire after a flu or stomach virus and attacks the nerve ends. Upward ascending paralysis follows. I was very lucky that I was diagnosed and treated promptly. It was though pretty scary being in Intensive Care hooked up to an IV line giving me 12 bottles of Immunoglobulin a day – good antibodies to counter the damage being done by the GBS. My fellow students were just fantastic visiting me with various gifts – toothbrush, razor, wifi dongle (a real lifesaver for communication), books and fruit. The dragonfruit they brought through did cause a health scare as my urine turned bright pink not long after consumption! I returned to England because there was no way I could look after myself in KL. I did walk out of the hospital but it was touch and go and I was very unsteady. I needed a wheelchair at the airport – it all felt so weird as I had never had any serious illness in the previous 59 years. 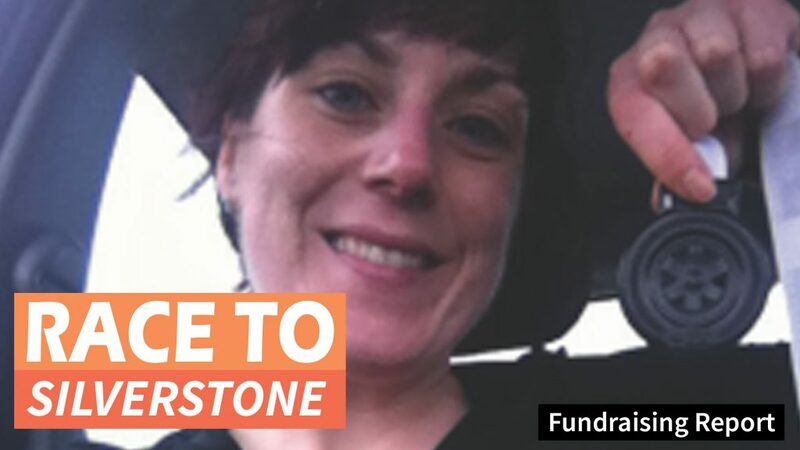 It took about six months, including another hospitalisation in England and a lot of gym work, for me to learn to walk properly again and eventually to climb stairs unaided. no longer was I falling down going into pubs! I still have a few minor residuals but I am now pretty much recovered. And when you have been in Intensive Care with people dying nearby or in a specialist neuro ward and you see what many people have to put up with in their daily lives, you realise how very lucky you are. I returned to finish my studies in January this year with another new group of young students. they were also fantastic to study with and to learn from. It really has been a wonderful experience to go back to ‘school’ as an aged student and to have the opportunity to make new friendships with so many bright young people. I have just finished writing my dissertation of 22,000 words on “Myanmar: Changing Priorities”. I had written the paper in my head, but unfortunately they wanted it on paper. It was made a little easier because I had undertaken a research internship with Myanmar Institute of Strategic and International Studies in Yangon from May to July as part of my degree programme. Probably the world’s oldest intern at 61 years of age! It was a great experience to be in Yangon at a time of such dramatic political, economic, and such a dramatic political, economic, and social change and to be working and meeting people who now look to the future with much greater hope. Over the past so years of military rule and isolation, the country has gone from being one of the highest incomes per person in Asia to being the poorest in Southeast Asia. Only $20 per person in Southeast Asia. Only $20 per person, for example, is spent on health – less than five percent of what is spent in Malaysia and less than one percent of what is spent in Singapore. It may take 20 years for the country to recover and to achieve its potential, but it now has a wonderful opportunity for a new start if the various leaders can find a way forward in what will be a labyrinthine task. While in Yangon I wrote three papers. One was on “Functional Cooperation in the South China Sea” – this was used as background for a Track 2 Diplomacy meeting of regional elders (former Foreign Ministers of ASEAN countries and China). I also wrote a paper on Health and Education in Myanmar and another on the Development of Myanmar’s Financial Markets. The papers got high-level distribution in the Myanmar government. I was also asked to write an Op-ed for the NikkeiAsian Review- “Myanmar needs to press ahead with its Big Bang”. Reflecting on the last two years, I have realised that both my inner and my outer landscapes have changed. Looking out over the marvellous view across the Straits towards the mainland from my 31st floor balcony is a daily pleasure. 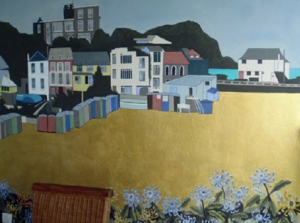 I even had a local artist, Bibi Chung, paint me a mural of Broadstairs in Kent where I spent holidays when I was young. Bleak House (which was Dickens’ home but called Fort House then) is on the hill. From Bleak House to tropical seas – it’s quite a change of vista. As I come to the end of my Masters degree, I will again need to think about what next. I intend to continue my involvement and interest in Myanmar, but also to enjoy life in Penang.